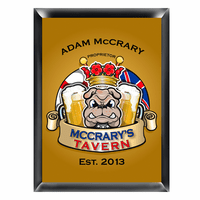 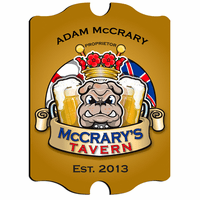 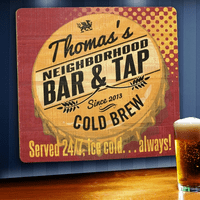 FEATURES/SPECS This solid wood personalized man cave bar sign comes painted with an ice cold beer against a black and red backdrop. 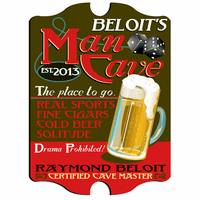 It lists the recipient as the owner and includes words that sum up what you want in your man cave: "The Place To Go, Real Sports, Fine Cigars, Solitude, Drama Prohibited!" 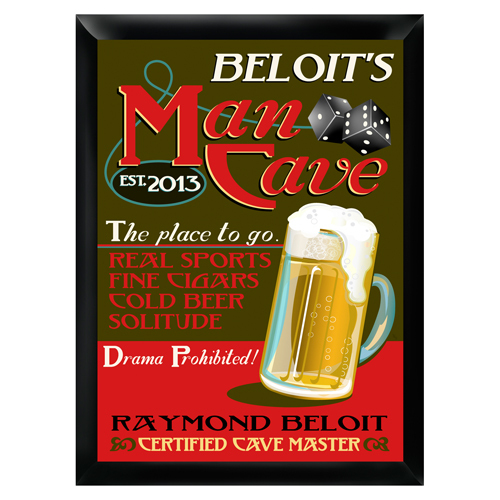 It lists a date of establishment and to top it off, down at the bottom of the sign it names the recipient of this gift as the "Cavemaster." This personalized man cave sign is ideal for groomsmen gifts or as a cavewarming gift.